A fine-dining burger with no need for gooey toppings. 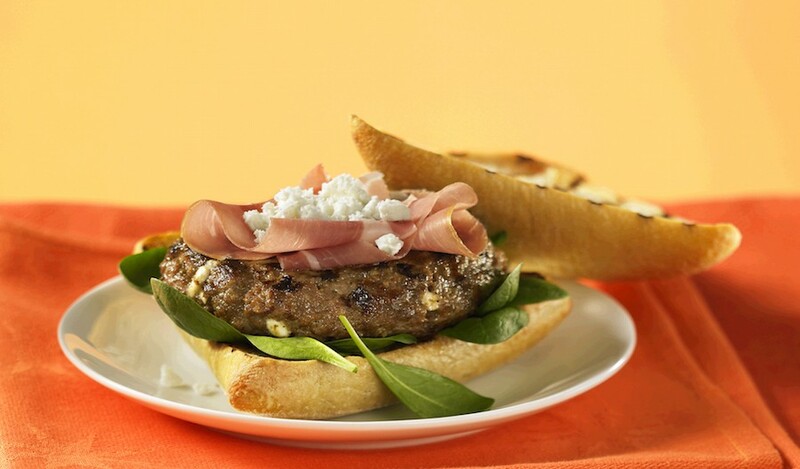 Lean Beef burgers deliver an excellent source of protein, zinc and vitamin B12 – not to mention flavour! Lightly combine beef, bread crumbs, steak sauce, onion, egg, crumbled feta cheese and rosemary. Gently form into four 3/4-inch (2 cm) thick patties.